Here at South West Skills Academy (SWSA) we have one priority; you, the customer. Whether you are looking to acquire new skills as an individual or looking to equip your workforce with the highest standards of care, our healthcare specific courses can aid your development. Our packages are continuously reviewed and are benchmarked against our competitors to ensure we are delivering an affordable service to our clients, without sacrificing the quality or delivery of the course. An example of a course that has been recently reviewed is our £45 Basic Life Support course which includes a free HSE compliant first aid kit for trainees to take away. Whilst care providers are aware of their legal obligation to maintain a skilled workforce and appreciate the enormous benefits in relation to the quality of service provision and staff retention, access to appropriate courses can be confusing. That’s where we step in and provide our clients with the information they need to know and advise them in selecting the right courses for them, turning apprehension into confidence. The reason why we are able to assist with this problem is because the SWSA (previously known as Ultimate Training) has been providing top quality training to the South West of England healthcare sector for over a decade. Since being established we have worked closely with some of the South West’s largest care providers and have developed a code of best practice as a result. That is why you can be confident in selecting SWSA. Through our training courses healthcare workers learn the best codes of practice through role playing, observation and practical demonstrations, speeding up learner’s development. 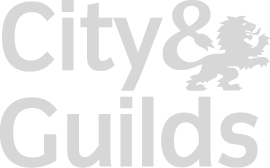 SWSA provide a variety of courses ranging from Apprenticeships to Day Courses. All our courses are a practical, career focused way of learning that will enable individuals to progress into higher education or into employment. Our courses have been designed to be flexible serving our client’s needs enabling them to fit their training needs around stringent working and social patterns. 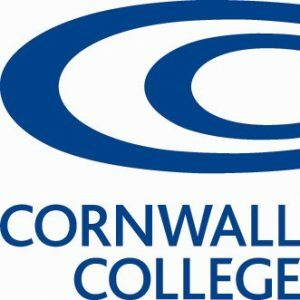 We have franchised with Cornwall College for many years so 80% of learners are eligible to reap the benefits of also being enrolled with the college, this allows you to receive a student card and use the facilities within the colleges. To some customer centricity might be a buzzword, but here at the SWSA we take our commitment to deliver an all-encompassing service to our customer’s seriously. From the initial consultancy, finding the right career/educational pathway for the individual, to the post service, advising our customer’s on the next step of their development. This commitment is aided by our staff being fully qualified in giving advice and guidance and their specialist expertise in their particular fields, ensuring they are up to date with new developments. Lastly if we are unable to provide the course you need we will put you in direct contact with somebody who can, instead of offering you an alternative course that doesn’t give you the qualifications you need. This is all part of our friendly service.